Originally published under the title "Yale Professor Andrew March: Legal Protections for Advocates of Terror." Yale University political science professor Andrew March is concerned that designating terrorists as terrorists will interfere with our ability to study terrorists. 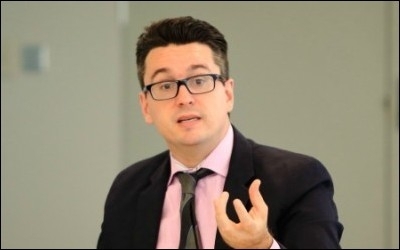 In a novel approach to defending terrorists, Yale University political science professor Andrew March argues that the U.S. should not designate the Muslim Brotherhood (MB) as a terrorist organization because it could subject researchers to prosecution for providing material support for a terrorist organization. In March's bizarre logic, terrorists should not be labeled as such to avoid the possibility that a scholar might be falsely charged with helping them. Journalists and scholars have routinely interviewed terrorists without any legal repercussions; March has nothing to worry about if his interests are strictly academic. He fears that "any NGO, think tank or charity organization with any link to the broad Islamist movement" will be deemed illegal. Yet that is how it should be: because Islamists, by definition, are violent radicals, support for them would indeed be providing material support for terrorists. Journalists and scholars have routinely interviewed terrorists without any legal repercussions. March is selective in his concern for shielding terrorist organizations from Foreign Terrorist Organization (FTO) designation. He argues, for example, that the MB should be distinguished from violent groups such as al-Qaeda and the Islamic State. Strangely, a professor who considers himself an expert on the Brotherhood and fears losing access to its members is unaware that it is the father of many of today's terrorist organizations. The Muslim Brotherhood merited listing on the FTO long ago. The group's motto is: "Allah is our objective. The Prophet is our leader. Qur'an is our law. Jihad is our way. Dying in the way of Allah is our highest hope." Founder Hassan al-Banna said, "It is the nature of Islam to dominate, not to be dominated, to impose its law on all nations and to extend its power to the entire planet." 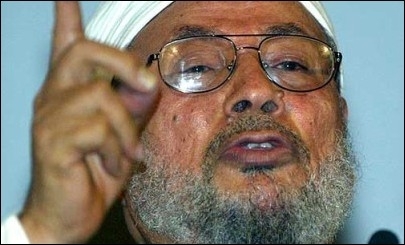 Sheikh Yusuf Al-Qaradawi, the group's spiritual leader, declared that it was a religious obligation of Muslims to abduct and kill U.S. citizens in Iraq. MB spiritual leader Yusuf Al-Qaradawi said in 2004: "All of the Americans in Iraq are combatants, there is no difference between civilians and soldiers ... The abduction and killing of Americans in Iraq is a [religious] obligation." Some commentators refer to the MB as "moderate" because it participated in free elections in countries such as Egypt, ignoring its goal of seizing power. The Brotherhood's commitment to militancy remains unchanged. In September 2010, for example, Supreme Guide Muhammad Badi' gave a sermon in which he said, "the improvement and change that the [Muslim] nation seeks can only be attained through jihad and sacrifice and by raising a jihadi generation that pursues death, just as the enemies pursue life." March believes the conflict between Islam and the West is overblown, a conclusion that requires he ignore the core tenets of Islam separating the world into the realms of war (Dar al-Harb) and Islam (Dar al-Islam), the call for jihad against non-believers, and the contemporary speeches and writings of Muslim religious and political leaders who believe they are fighting a war against Western infidels. The MB is at the forefront of this war. Like most apologists for terror and anti-Semitism, March believes free speech applies only to his ilk; he seeks to silence anyone with the temerity to challenge his views. In October 2008, he participated in a panel that falsely associated the documentary film Obsession: Radical Islam's War Against the West with an Islamophobic hate crime. When riots erupted in reaction to the publication of Danish cartoons that contained the image of Muhammed, March complained about the publisher rather than the imams who incited the violence or the Islamists who targeted the cartoonist. He also failed to protest the decision of Yale University Press to omit the cartoons from a book on the publication and ensuing furor. March's attacks on critics of Islam are inspired by Edward Said's notion of imperialism, which holds that only specialists on Islam (usually only Muslims) may justifiably criticize the words and deeds of Islamists. This idea is as absurd as saying that only Russian or Chinese communists can conduct research on Russia and China. Yes, it is a crime to aid and abet terrorists. No one is preventing March from writing about the Brotherhood's philosophy or role in Egyptian society, but if he provides guidance for perpetrating violent acts, promotes their mission, or helps recruit new members, then he has knowingly put himself at risk of prosecution. Mitchell Bard is the author/editor of 24 books, including the 2017 edition of Myths and Facts: A Guide to the Arab-Israeli Conflict; The Arab Lobby; and the novel After Anatevka: Tevye in Palestine. He writes for Campus Watch, a project of the Middle East Forum.